Problems managing polycystic ovarian syndrome? It may not be due to lack of willpower. Instead, you could be Insulin Resistant, a root cause of PCOS. Scientists at the National Institutes of Health, Stanford University and other research centers have clearly identified the existence and effects of Insulin Resistance, a biochemical condition that can cause excessive weight gain and Polycystic Ovarian Syndrome. Over time, the above factors have damaged the complex ability of the body’s cells to properly utilize insulin to convert glucose to energy. This process creates Insulin Resistance. 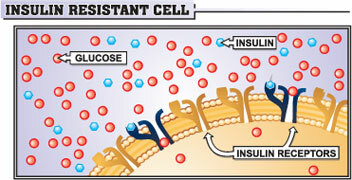 Insulin Resistance vastly reduces the insulin sensitivity of cells, which impairs the processing of glucose through the cell wall for conversion to energy. 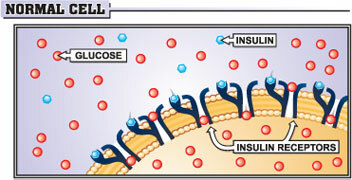 As a result, glucose remains in the blood stream, causing elevated levels of blood sugar, which are sent to the liver. Once there, the sugar is converted into fat and stored via the blood stream throughout the body. This process can lead to weight gain and obesity, key factors in creating PCOS, which is also referred to as Polycystic Ovarian Disease or PCOD. Insulin Resistance can also cause PCOS (Polycystic Ovarian Syndrome) is by raising insulin levels in the blood stream. Unhealthy lifestyles and genetic conditions can lead to the pancreas overproducing insulin. This excess insulin stimulates the ovaries to produce large amounts of the male hormone testosterone, which may prevent the ovaries from releasing an egg each month, thus causing infertility. High levels of insulin also increase the conversion of androgens (male hormones) to estrogens (female hormones), upsetting a delicate balance between the two and having a direct effect on weight gain and the formation of cystic follicles or ovarian cysts. The symptoms vary widely from woman to woman. Because the symptoms vary so widely and not all women display all the symptoms, doctors very often misdiagnose PCOS. This became an issue of critical concern after a study in 2000 found that women suffering from PCOS have a higher risk of coronary heart disease. atherosclerosis, which occurs when fatty deposits called plaque cling to the interior walls of the arteries, leading to blockages that can cause heart attacks or stroke. Not only do PCOS sufferers have higher rates of plaque buildup but those over 45 have thicker deposits of plaque. up to 40% of women with Polycystic Ovarian Syndrome have either impaired glucose tolerance or Type 2 Diabetes by the age of 40. I had this pain 25 out of 28 days each month for a number of years. It was diagnosed through symptomology first, then surgical laporoscapy. 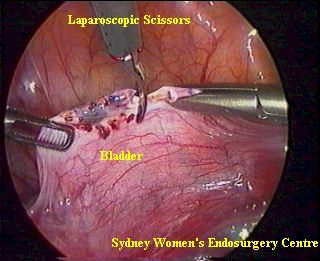 I choose the laporoscapy surgery. Unfortunately, because I still had the candida overgrowth, the endo returned within a few months. I began searching alternative medicine archives. I tried this for 3 years, without cheating. many brands of supplements (starting with cheap ones, ending with expensive brands. After 3 years of disciplined struggle, I still had Endometriosis and systemic Candida Overgrowth. DIET: As Shaklee strengthened my body and my food allergies were overcome, I gradually add in more foods. Will it alleviate your pain? Do you have endo or candida overgrowth? If you give your correct contact info, I’ll share and discuss your results with you. Is this a good idea? 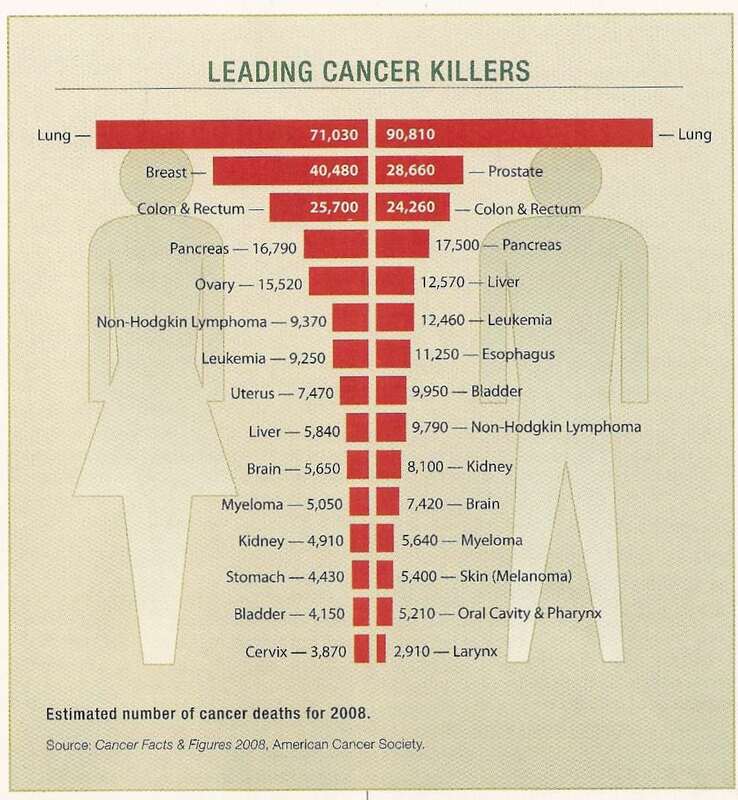 Do you think this will cause more cancer growth or increased rate of cancer growth? Hawaii teacher’s cure clears way for new saint.